On Pen-N-Sword Investigation Team's Death of MIA Reynolds, A MARINE'S WHITE HUSKEY SERVICE DOG SHOT AND KILLED IN CENTRAL on Jan 19th. Their information is now being compiled and will be presented to Lauderdale County, Alabama Sheriff Rick Singleton and the DA's Office. Due to the information gathered, the team believes a request to Re-Open the case into Aggravated Animal Cruelty, which carriers a penalty of 2 years in Prison and up to a $15,000 Fine is on solid ground. 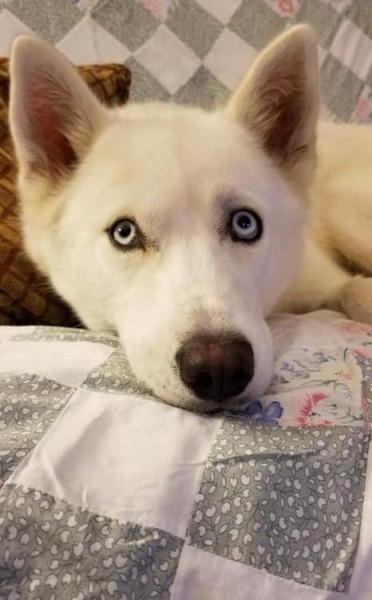 The Pen-N-Sword Investigative Team received loads of requests that we look into the shooting of a Husky named Mia in Central Heights, Alabama. After looking at the initial information our team voted to take the case on and see if we could shed some light on what actually happen that caused Mia's death. The Pen-n-Sword Investigative team is now looking into this and has spent several hours interviewing witnesses and gathering evidence. This Evidence will be presented to Lauderdale County, Alabama Sheriff Rick Singleton to determine what he wants to do once everything is complete. I can tell you the evidence is pretty compelling that a crime may have been committed. The Team knows the Alabama Animal Cruelty laws like the back of their hand. They know when it is a misdemeanor or felony...After looking at what they have so far, they have now moved into the Felony territory side of the Law. The Family of Mia has agreed to work with us on this Investigation. The Team makes no decision either way...they gather, develop and put the evidence in a format that can be understood and based on the guidelines of the law. Our Team has been touched by the despair, sadness and anger felt my Mia's Family. She was more than a dog...she was a family member and one of their own...they are grieving deeply, especially Josh who served 5 years with the Marine Fast Team. This Team was used to extract hostages and other covert missions in all areas where they were needed. She was his service dog as he suffers from PTSD. Thank you so much for all the work you put into this case. Thank you for or helping put the POS in the courtroom. Poor Mia???? TY for investigating and bringing some sense of justice for an innocent dog and her guardians.